Let's face it! Engaging in meaningful conversations with children has become increasingly difficult in today’s online world. Luckily, Vertellis has introduced a new edition to their popular card games for parents and their children over 8-years-old that re-enforces meaningful conversation and kindness. Prompted by questions, points are earned by starting and engaging in meaningful conversations. It's a fun, interactive way to bring the family together. What do you think you should do together as a family ore often? What is something nice you can do for someone around you in the near future? Which family member would you like to thank for something? 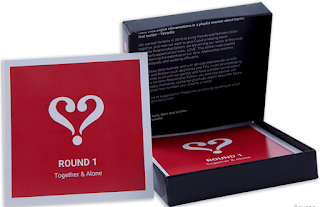 Besides the Family Edition, the popular card game is also available in a Holiday Edition or Relationship Edition. The game retails for $19.99 and available on their website and Amazon.